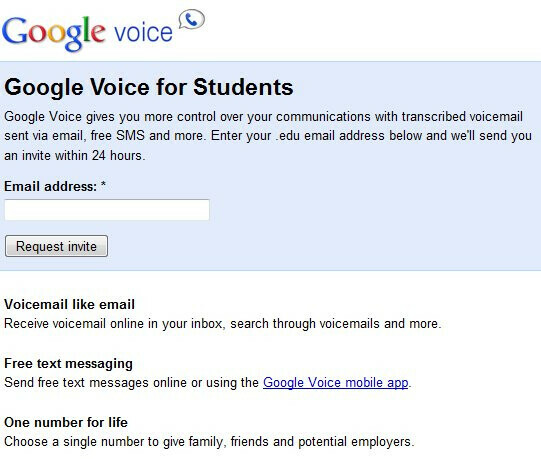 Being a student has its advantages now that Google Voice is being made readily available to them. Students are getting some high class treatment as a .edu email address should be more than enough in getting you situated with the ever popular Google Voice service that can come in handy. Students can expect to be provided a phone number for the service, free text messaging, email/SMS transcription of your voice mail, and inexpensive international phone calls. The obvious fact that the service is completely free, it'd make the perfect solution for students who are probably strapped for cash after seeing the cost of tuition. So if you want to get in and have your .edu email address in tune, then simply head on over to the source link and grab yourself that free invite without any hesitation.